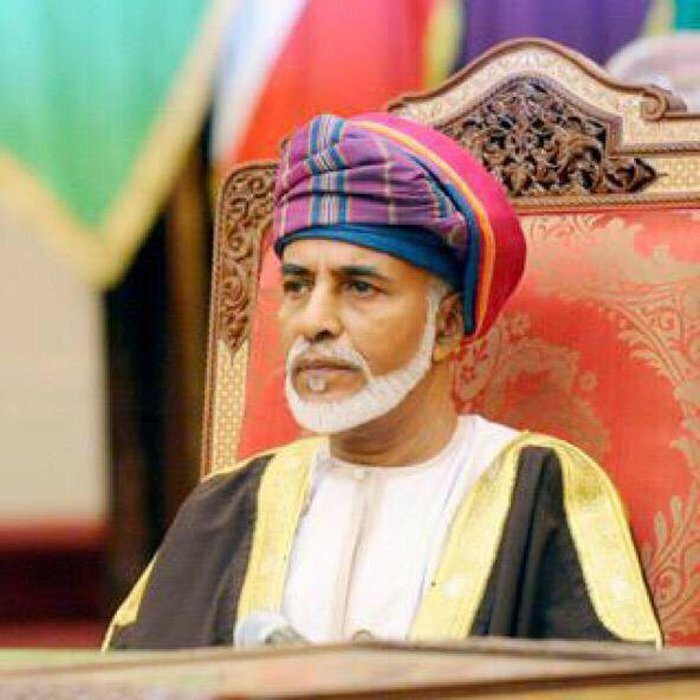 The Sultan of Oman Qaboos bin Said Al Said. 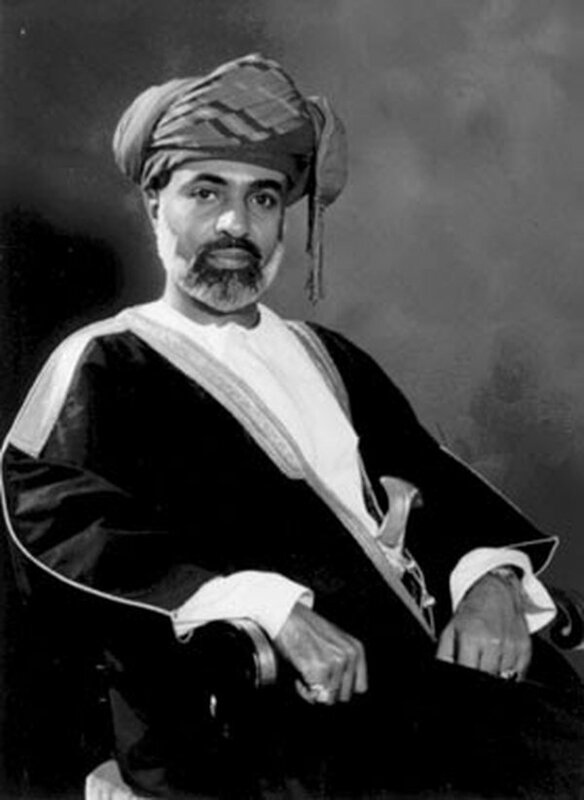 Qaboos bin Said Al Said ( قابوس بن سعيد آل سعيد‎, born 18 November 1940, Salalah, Oman) is the Sultan of Oman and its Dependencies. He rose to power after overthrowing his father, Said bin Taimur, in a palace coup in 1970. He is the 14th-generation descendant of the founder of the Al Bu Sa'idi dynasty. 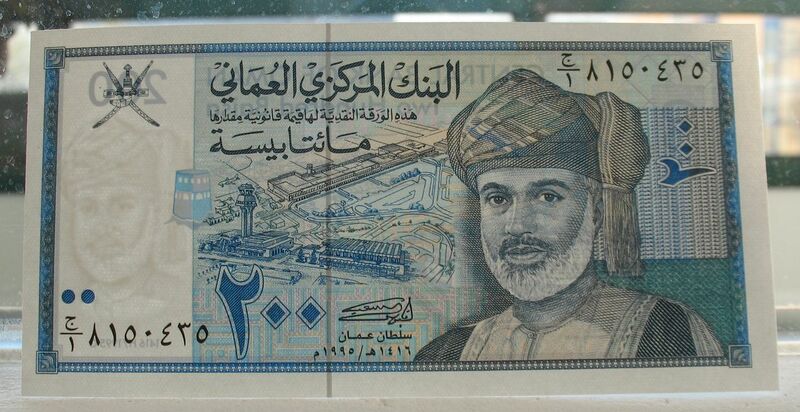 By combining the Imamat of Oman and the Muscat Sultanate in a single state, the Sultan then, with the support of Great Britain and Shah's Iran, managed to defeat the insurgency in Dhofar. 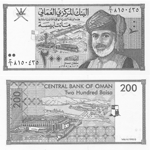 In November 1996, Sultan Qaboos signed the first Basic Law (Constitution) of Oman. Centered (above) is Seeb International airport. Muscat International Airport (IATA: MCT, ICAO: OOMS), formerly Seeb International Airport, is the main international airport in Oman. It is situated 32 km. from the old city and capital Muscat within the Muscat metropolitan area. 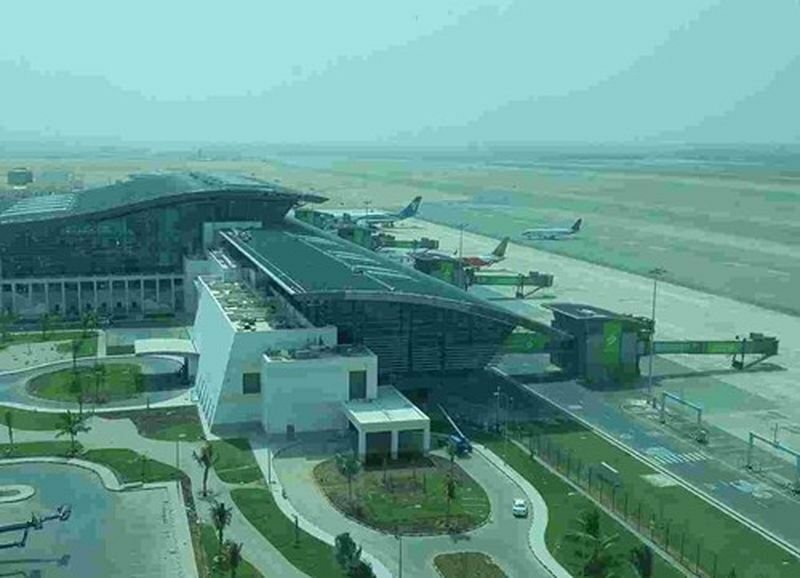 The airport serves as the hub for flag carrier Oman Air and features flights to several regional destinations as well as some intercontinental services to Asia, Africa and Europe. 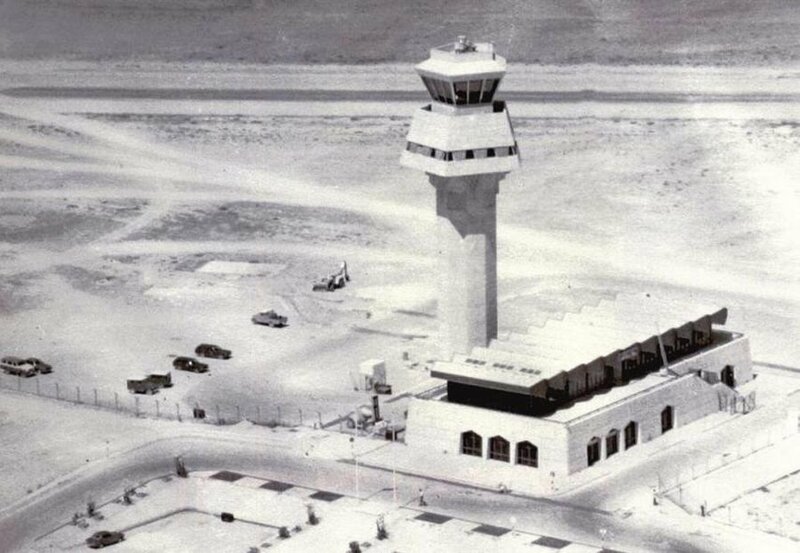 The airport opened as Seeb International Airport in 1973, replacing a smaller airfield located in Bayt al Falaj. It has hosted Royal Air Force BAe Nimrods in the past, including for the 1991 Gulf War. These aircraft cooperated with the Royal Navy of Oman in the 'Magic Roundabout' exercise series. The base was used by a detachment of Vickers VC10 tankers from No. 101 Squadron RAF during the Gulf War training with Royal Air Force SEPECAT Jaguars. Centered (at the bottom) is Salalah International Airport. 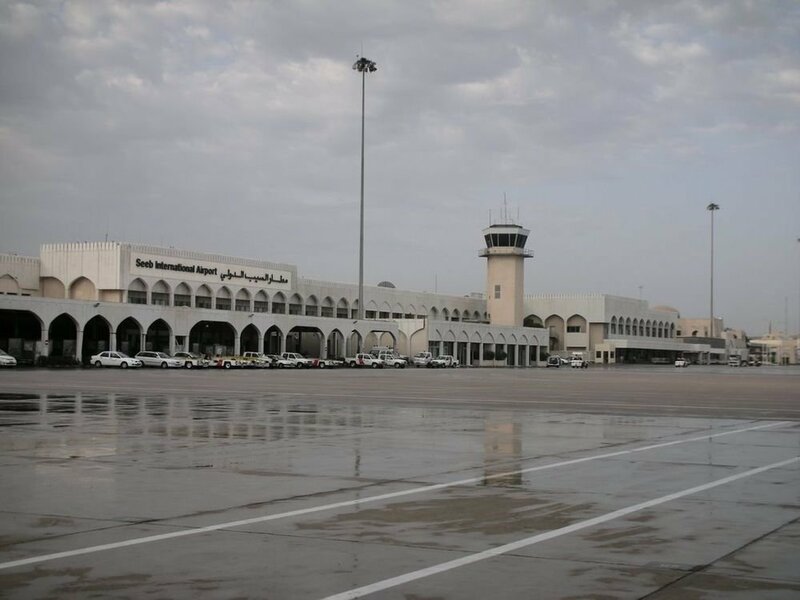 Salalah International Airport (IATA:SLL, ICAO:OOSA) is the Sultanate of Oman's secondary international airport after Muscat International Airport. It is located on the Salalah coastal plain in the Dhofar Governorate, 5.5 kilometers (3.4 mi.) northeast of Salalah's city centre. The airport features flights to regional destinations as well as a few intercontinental charter services from Europe. 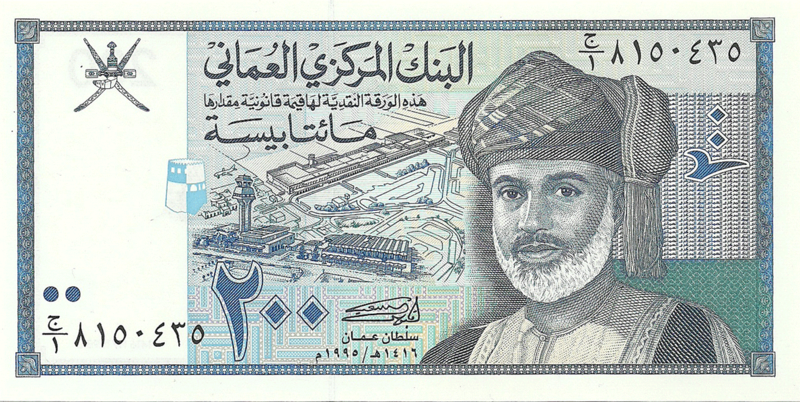 Salalah Airport opened in 1977. Initially, it only handled domestic flights from Muscat and a few chartered flights. Oman Air Services (OAS) began services to Salalah in 1982 and the inaugural flight of Oman Air arrived from Muscat in April 1993. 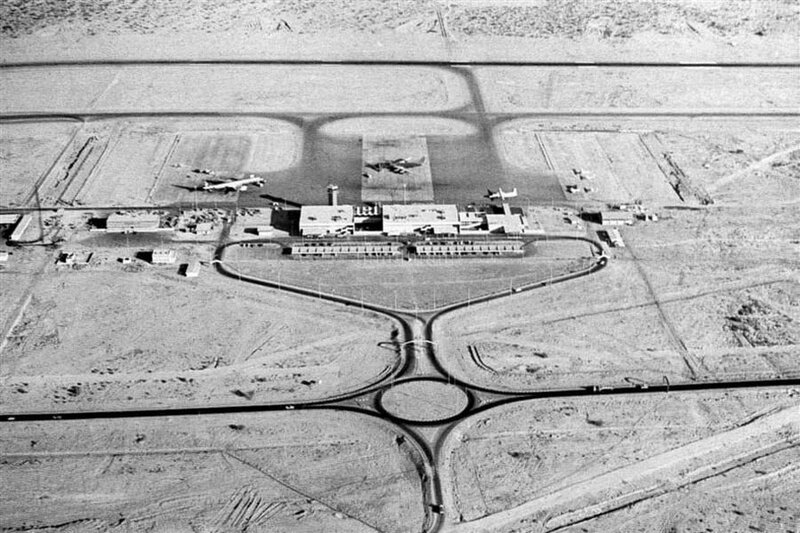 The airport was earlier primarily used as a military airfield by the Royal Air Force (RAF Salalah) and latterly, co-located with the civilian airport, by the Royal Air Force of Oman (RAFO Salalah). 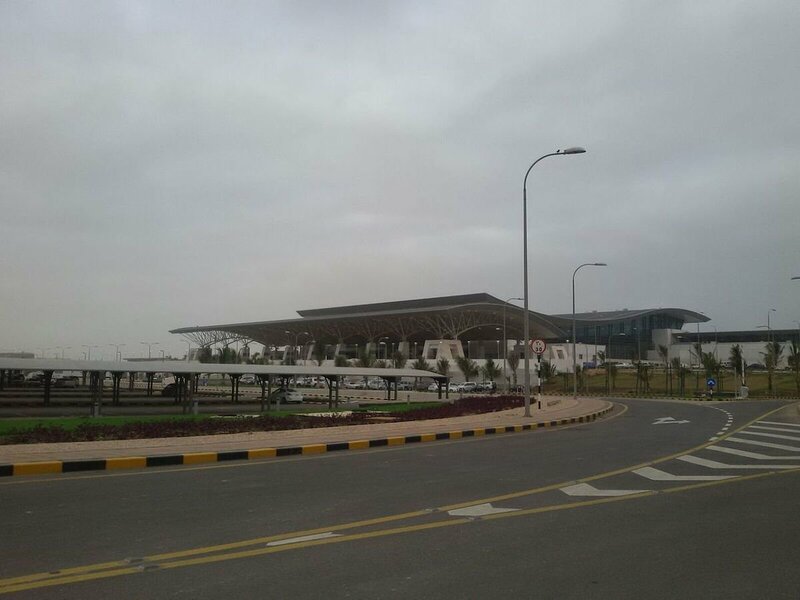 In 2003, the Salalah airport got the status of an international airport. Oman Air began scheduled services to Dubai from Salalah in 2003, leading to increased passenger traffic while other Gulf carriers operated flights only during the Khareef season. The following year, Air India commenced operations to Kozhikode and then to Cochin, making it the first airline to operate non-seasonal international flights to Salalah. Since 2003, the airport experienced increases in passenger traffic and civilian aircraft traffic. The area is a popular tourist destination for both local citizens and foreigners, especially from July to September when the Asian monsoon touches the region commencing the start of the Khareef season, making it an unusually attractive location within the normally arid Gulf region. 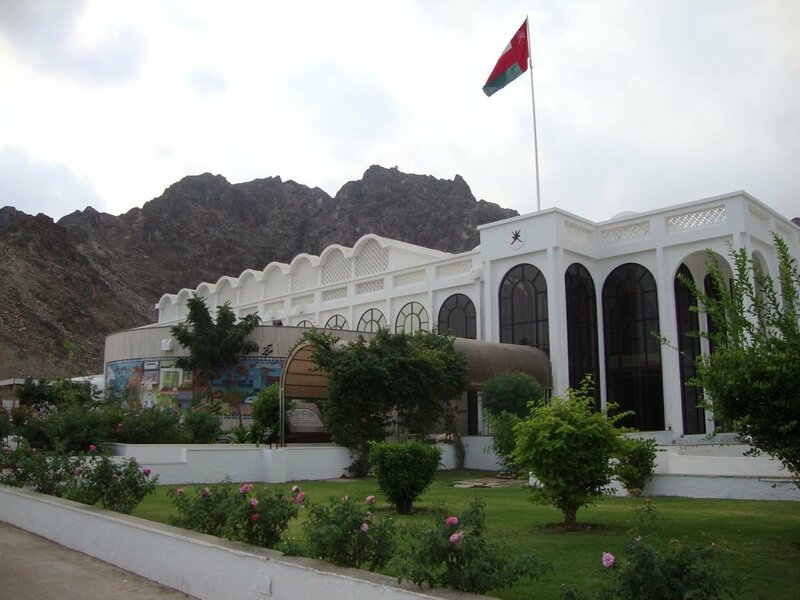 In top left corner is the national emblem of Oman (شعار سلطنة عمان‎). It is an insignia consisting of a khanjar inside its sheath that is superimposed upon two crossed swords. Adopted in the XVIII century as the badge of the Omani royal family, it subsequently became the national emblem of the Sultanate of Oman. 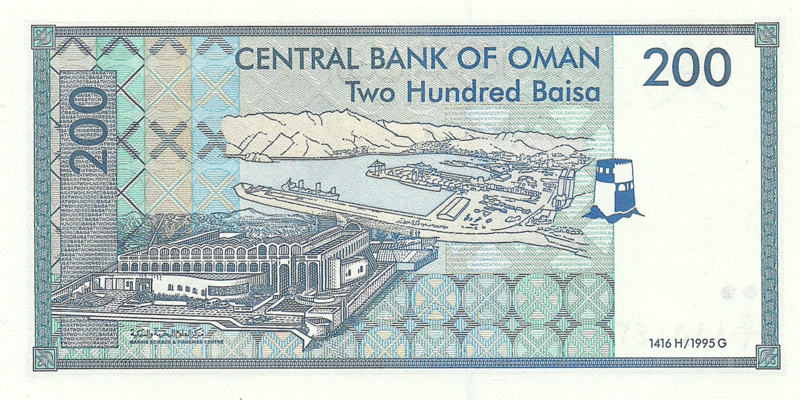 The emblem is featured at the canton on the Flag of Oman. The national emblem was first designed in the mid-18th century, when it was adopted as the royal crest of the Al Said dynasty. Its usage was expanded when it subsequently became the national emblem of the sultanate. This occurred during the reign of either Faisal bin Turki (1888-1913) or Taimur bin Feisal (1913-1932). The emblem was later incorporated onto the canton of the country's national flag in 1970. Moreover, in order to distinguish "directly royal entities" and create a distinct symbol for these organizations, a crown was added to the top of the national emblem. This modified insignia is utilized on the badges of all branches of Sultan's Armed Forces, including the Royal Army, Royal Navy, Royal Air Force, Royal Guard, and Royal Oman Police - among many others. 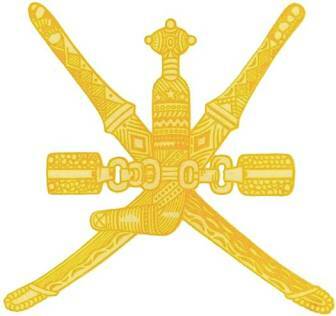 According to the Omani Ministry of Foreign Affairs, the khanjar - along with the two crossed swords - symbolize the historic weapons utilized by the people of Oman. They are attached together by an embellished horse-bit at the center. The khanjar itself is a national symbol of the sultanate, and is still worn by Omani men as a "ceremonial dagger" for formal occasions. It is a ceremonial dagger with its abundantly decorated sheath, traditionally made of rhinonoceros-horn, highly appreciated in the arab world and for that reason contributes substantially to the extinction of the rhinoceros in Africa. Denominations are at bottom and on right side. Centered (above) is the Port Sultan Qaboos. 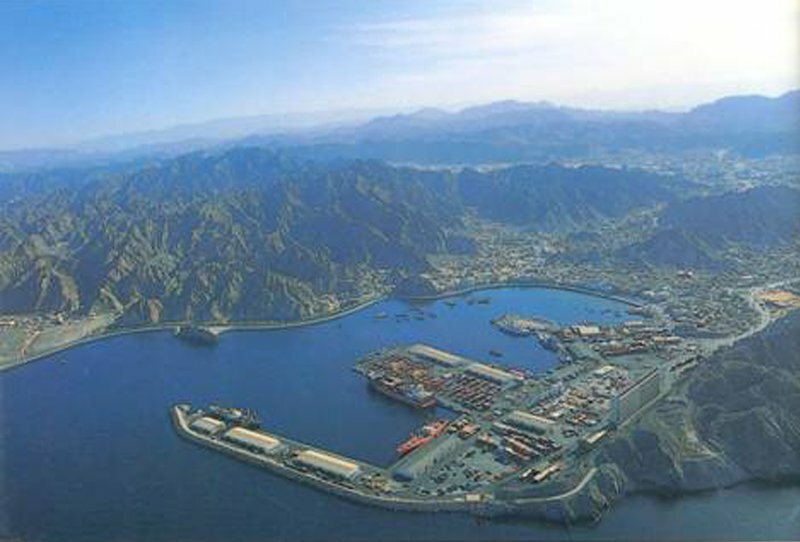 Port Sultan Qaboos (previously known as Mina Qaboos) is the largest port in Oman. Developed initially as a part of a plan for a "Greater Muttrah" by Qaboos bin Said al Said's predecessor, Said bin Taimur, the port's construction was completed in the 1970s. The port is operated and managed by "Port Services Corporation S.A.O.G". The Ministry of Transport and Communications announced that as of 31 August 2014, the port would cease commercial operations, preceding its transformation into a cruise ship port. Cargo operations are shifting to Sohar Industrial Port, in Sohar. The government has cited congested road traffic in Muscat as a reason for the move. Muttrah, (Arabic: مطرح‎‎) administratively a district, is located in the Muscat province of Oman. Before the discovery of oil, Muttrah was the center of commerce in Oman (Muscat). It is still a center of commerce as one of the largest sea ports of the region is located there. Other landmarks include Souq Muttrah, a traditional bazaar and Sour Al-Lawatiah, a small community of houses surrounded by an old wall. To the south lies Muscat District. Centered (at the bottom) is Omani Aquarium and Marine Science and Fisheries Center. It is an aquacultural museum, located between the Al Bustan Palace Hotel and the Capital Yacht near Sidab Muscat in Muscat, Oman. The museum was established in 1986. It has collaborated with Sultan Qaboos University to increase knowledge and studying of a wide range of marine species with particular emphasis on ecosystem conservation and preservation of endangered species, such as turtles. The aquarium has a wide range rich and unique marine life taken from the 3,165-kilometer coastline. Denominations are in top corners. In words on top, centered.